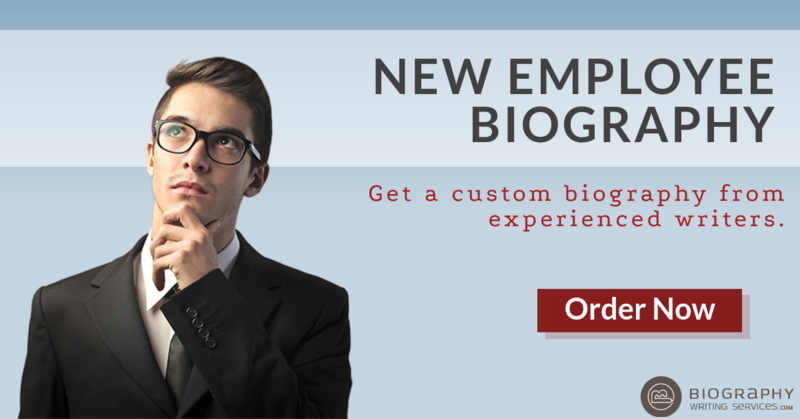 Create an Ideal New Employee Biography for Your Hires! Thank you so much for your work. everything is fine I have no comments on the document. So you’ve just brought a new employee to your team. Great! You must be excited about your new prospect, and what he or she will bring to the table to improve your business. As is the norm, most new employees usually feel a sense of excitement for getting the opportunity. It wouldn’t be a surprise if they hardly sleep that night! Others tend to be anxious and wonder whether they will ease into their new job. So what’s the best way to assure them of their position? 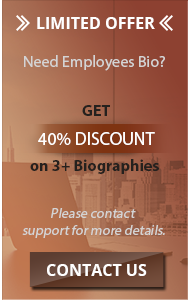 Well, you can create a new employee biography for website on their behalf! Why Should You Introduce a New Employee to His or Her Coworkers? Giving a great first impression – by introducing them to the workplace and having them immediately make new acquaintances, he or she will feel that they have made the right decision by accepting a position at your firm. Make sure they feel as if you welcome on board a member of staff. Breaks the ice – all the nervousness that the new employee is experiencing will disappear once they see that everyone in the new environment is friendly! And that’s why it’s important to introduce to coworkers as early as possible! Enables the new employee to immediately make new acquaintances – the new employee can immediately click with someone in the office. Their newfound friend can make the orientation process much easier! Makes things personable – enables the customer to have a more personal relationship with the member of your team that they have gotten in touch with. Creates legitimacy and customer trust – by viewing an employee bio and reviewing the skills of your team member in question, the client is able to gain trust towards the member and relate better to them. Showcases your people – creating profile bios for your employees can help showcase your employees to potential clients who can then access their services, resulting in greater profits for your company or firm! Let’s the customer buy into your people, not your company – by seeing your employee’s bios, the customer will feel that he is relating with a human being and not just some company looking to finesse him or her for their hard-earned money. Creates an atmosphere of professionalism – companies that have employee bios tend to look more professional than companies without. This can result in consumers preferring to access your service rather than one that gives a more cooperate vibe. Why Is It Important to Send a New Employee a Welcome Bio? The employee feels like you were clear in your decision to select him or her as the ideal candidate. Usually, after selection, some candidates are not so sure about their ability to meet your specified requirements. This could just be a bout of anxiety. By sending them a welcome bio, you are reaffirming that they are the right candidate for the job. In the new employee introduction bio, you can remind the new employee of essential features that are required before they join the group. This could include important features such as the dress-code and the time of arrival as well as a departure from the office. During the sending of the welcome bio, HR can also take the opportunity to send over important employment forms which the new employee can fill in. This definitely saves time and makes the employment process much quicker and easier. You can use the welcome bio as a great opportunity to send over other the employee handbook which the new employee can familiarize themselves with earlier. Having a successful orientation is one of the most critical factors that enable the employer to get the best out of an employee in the limited time possible. That being said, always ensure that the welcome bio goes together with essential documents pertaining to the orientation process. The simple act of sending a welcome bio shows the new employee that you are a great employer who values the new addition to his or her team. So send your new employee that welcome bio, it will certainly make the difference! We are so excited to have you in our group! We believe that you can use your skills and talent in making our company reach new heights. Welcome aboard new buddy! It is a great honor to have you join a team. Welcome aboard! Hope you will have an amazing time working with us and are really glad that you’ve joined us. Welcome aboard! On behalf of all the members of our team, I welcome you. Hope you will have an excellent time working with us. Welcome aboard! We are really happy to have you on our team as our new member. Welcome aboard! Welcome to the company. We are very excited to have you as a part of our team. Welcome aboard! Your organizational and planning abilities are going to be put to good use with us and we are really looking forward to working with you. Welcome to the company. Hope you will have a great time working with us. Welcome aboard new buddy! We’re very pleased that you’ve joined our team. Welcome aboard! We welcome you to our company and we are very glad to have you with us and look forward to a mutually beneficial relationship. Affordable pricing – Highly cost-effective prices that make composing a great welcome bio inexpensive albeit efficient for all your client’s needs. 24/7 support – We have 24/7 support to respond to any queries you may have regarding your welcome bio order. Unlimited revisions – You can have as many revisions as possible to ensure that the welcome bio meets the quality that you recommended it to be. So with the help of our professional biography writers for biography website, you can rest assured that your new employee intro bio will be stellar! So why not take the step to break the ice between you and your new employee? It will be worth noting that most employees perform at a higher frequency once they are fully settled in their new environment. So get in touch today and have a quintessential new employee biography written and delivered in no time!